Angle of incidence can be useful in analysis and in calculations. While angle-mutes, raytraced using a velocity model, are the most accurate means of displaying the intercept angle, they can be awkward to use analytically. The two methods shown here calculate an angle of incidence for use in other calculations. This method finds the angle of incidence assuming a straight-ray cast from the offset to the calculated point. This flow creates gathers of incidence angle, from which you can extract amplitudes from as you would any other volume. 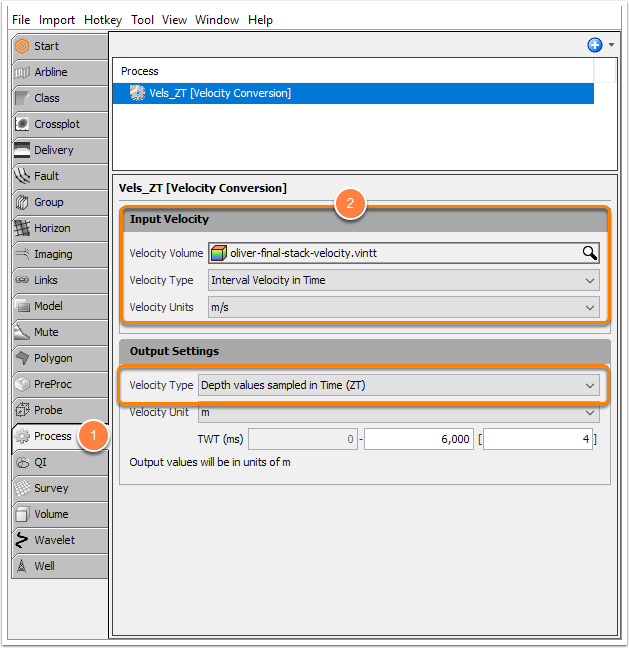 To Calculate depth values sampled in time from the velocities, click Process tab >> add New Process >> Velocity Conversion. 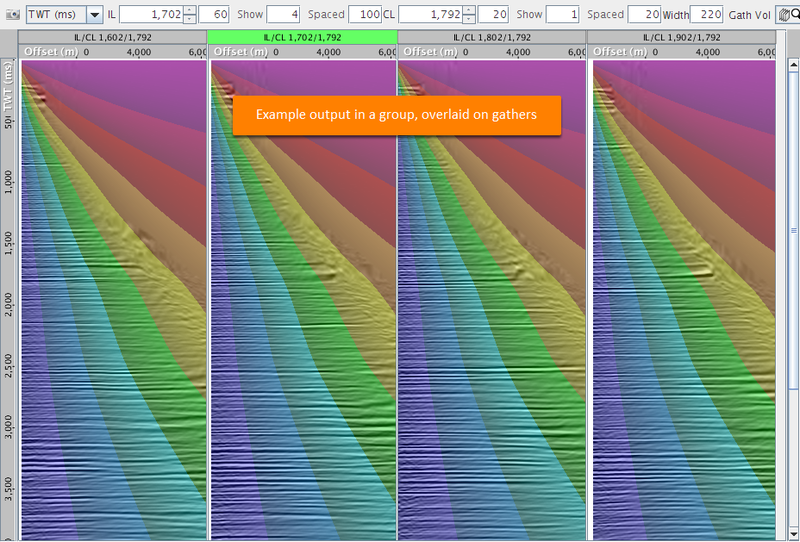 Set the class of the "AngleOfIncidence" volume to a new class "Angle" and choose a useful colourbar (e.g. Banded-Decile-Light) with the range 0 to 100. Read Classes and Colourbars Overview. This method, derived from the NMO equation, finds a more accurate angle of incidence. Use a Velocity Conversion process if necessary. 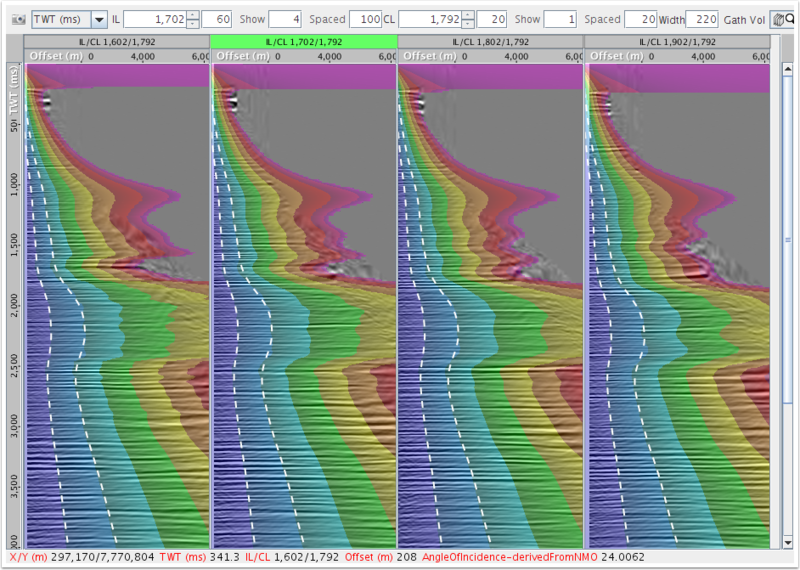 In this example, two mutes at 10 and 20 degrees are displayed over a group containing the angle of incidence (accurate method, in colour) over offset gathers (in grey). 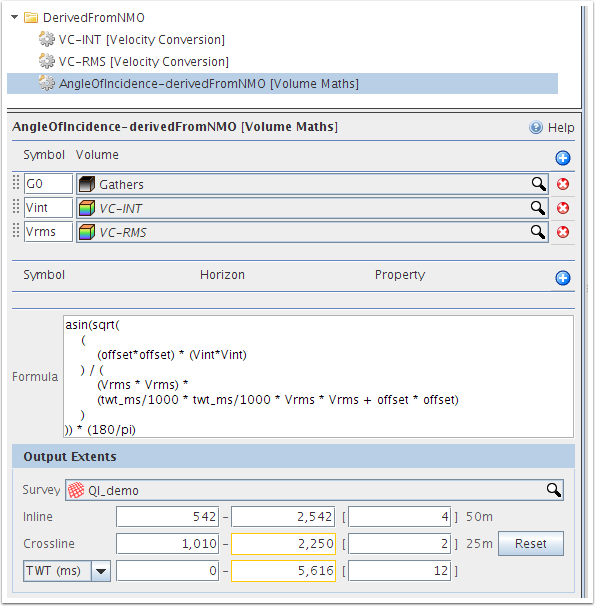 the mutes correspond to changes in angle using a banded colour bar and appropriate ranges. 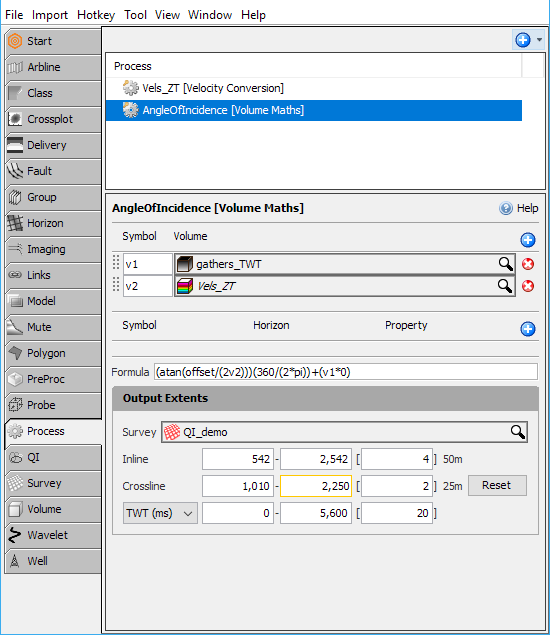 Next: How can I calculate pseudo-impedance from seismic data?